Avant Garde music aficionados across the globe are excited about the forthcoming second album by Dutch visual sound artist René van Commenée, under the guise Mr Averell, titled Gridlock. Van Commenée is known in The Netherlands for his music (sound) art objects, theatrical performances and soundtracks for theatre, fireworks spectacles and film. Over the years he has worked with many acknowledged musicians around the world and became well-known by fans of Van der Graaf Generator through his percussion performances with VDGG member David Jackson. About ten years after their first duo-performances they released the well-received critically acclaimed album Batteries Included, a collection of their live recordings. In the same scene, René performed on albums by VDGG's Judge Smith as percussionist, drummer and vocalist. 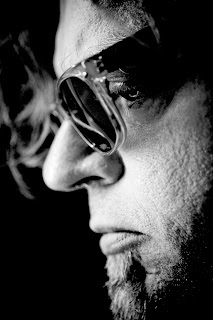 The name Mr Averell has been employed by René in order to record and release song-based recordings. He explains, ''As a musician I work mainly as a percussionist, electronic music performer and sound designer. I am a member of the trio The Art of Doing Nothing with Pipe Organ master Willem Tanke and MIDI-wind-controller/flutist Martijn Alsters. With Alsters I formed a duo for live-surround concerts and installations also. Gridlock is the second Mr Averell album and features guest performances by Mike Garson (David Bowie), David Jackson, Hugh Banton and Judge Smith (Van der Graaf Generator), John Ellis (Peter Gabriel, Peter Hammill, The Stranglers), Lene Lovich, along with Stuart Gordon (Peter Hammill, Peter Gabriel, Massive Attack), Dyane Donck (Daisy Bell), Martijn Alsters, Willem Tanke, Ninca Leece, Tammo Heikens and Lisa Weiss. The album is an adventurous journey through very different kind of songs and instrumentals, but all with the typical, quite theatrical Van Commenée signature. Gridlock should be listened from beginning to end and isn't just a collection of songs. Literally Gridlock stands for the famous Dutch traffic jams, but also tells about the Gridlocks in our lives and heads. The wonderfully produced album may take a bit of time to sink in but once it does, it becomes timeless and unique. And how did René amass such an impressive list of famous guest artists? He explains: ''Luckily, this was not too difficult – they're friends! In my past musical career I met many fantastic, well-known musicians with whom I've worked in several projects. fabulous musician John is a very nice person as well. string section then, on my new album he performs violin work with astonishing electronic effects. The listener might think it's electric guitar at first, but if you listen carefully you will notice that the effect is totally different because the violin is a bowed instrument – I'm very happy with it. (with an amazing sax solo by Jackson). Are we lemmings? Dutch artist paints an idiosyncratic picture of an urban state of mind in the company of kindred wandering spirits. It’s not a Jackyll-Hyde situation when René van Commenee morphs into Mr Averell and shapes his avant-garde ideas on musical, rather than multimedia, front, it’s just another aspect of his outlook. Sharing this vision, and inviting the Dutchman for the ride, are the members of early VDGG line-ups who return the melodious favor on Mr Averell’s second solo outing and add details to the canvas he colors with a battery of various instruments and voices. It’s that electrifying – and that angularly nervy, as befits the depiction of a modern city dweller’s psyche. The narrative gets all homey hoarse in the Waitsian piano ballad “Break The Mirror” that’s rendered stately by David Jackson’s tenor and Judge Smith’s euphonium complementing Commenee’s Hammond, but it turns into a slightly annoying dance when Lene Lovich sends her artificial accent grooving over John Ellis’ tasty rifferama in “Kiss the Girl!” where parping sax mixes with funky strum and wah-wah wails. Yet if such an approach possesses a certain pull as does the psych rock vibe of “The Fear Of Dreaming,” the concept crumbles under its own weight in the title track’s disco skronk or the theatricality of “Boxes,” heightened with Hugh Banton’s organ. And while Mike Garson’s elegiac piano that elevates the melancholy of the horns-pronged “Sightseeings” and “Deliberately” beyond the pale, the picture’s bleak anyway, despite the country fair-like merriment of “Rideehoo!!”. In the world of music there are some bands that like to go for the weird instead of the normal when playing music. 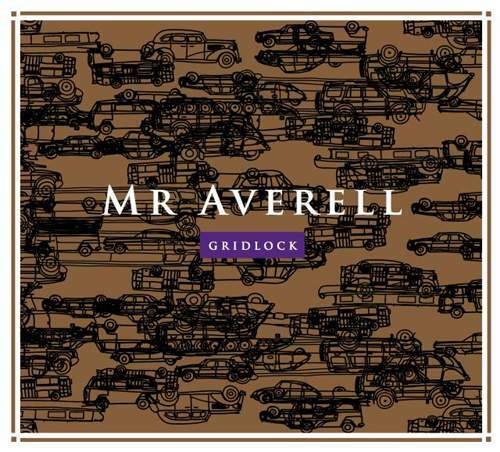 When listening to Mr. Averell's new album "Gridlock" I was astounded by what I was hearing. The music being played is so random and unoridnary that it surprised me. If I where to play the association game with these songs each song brought up different images of things like a puppet, a horror movie, and even Dracula. This music is odd and weird where on the first listening I was more stunned by what I was hearing but with each time I heard the songs I grew to like them more and more. And not it's not because they kept playing that made me like them, it's because I would hear something different each time that built the songs as well as the songs just being well played, that made me like them. The one song that I didn't like and didn't feel in place with the other 11 songs, is the opening song "Lock". When it first played I didn't even know it was playing. After about 30 seconds I checked to see if I had hit play. That's when I saw that it was playing and only had a few more seconds left to play. When it ended I played it again, turned up the volume, and was able to hear the song play. This first song is very low and quiet compared to the other songs so I just skipped it when I was playing the album over again. However, the rest of the songs are very well played that are so much fun to listen to. There's all sorts of sounds being created in the songs by using organs, horns, guitar, violin, , and even the vocals themselves are used to build a very odd but good set of songs. I'm not sure what kind of meaning the songs would have, well some seem to be pretty straight to the point like with "Kiss the Girl!" but then there is the song "Boxes" and "Babel", which by the way I enjoyed "Babel" the most, that the lyrics just don't make any sense. This is an album that's weird, that's the best way I can come up with to describe the feelings the songs emit, weird. They're fun, lots of fun in fact, but the odd way that vocals are being sung in, the eclectic sounds, and the ominous beats being put out in the songs make this album stand out over a lot of the untypical groups. Which because of this oddity these songs have, the well orchestrated beats, and vocals that make you notice them, that I liked this album as much as I did. I been spending the last part of the week getting to know Mr Averell. It's a AKA for Dutch visual sound artist René van Commenée. I'm actually focused on the second offering of Mr Averell's sound projects called Gridlock. Every time I play it over my stereo's speakers, I hear something that I had not noticed before. The artist's roots are in Avant Garde, but they also branch out into the more traditional areas such as rock. Still don't mistake this for a mainstream rock album. Closer to progressive rock if I had to label it. Lots more freedom for musical expression, which is what you find here. The name Mr Averell is used by Rene' in order to record and release song-based recordings. He sees it as a band in which he is main writer and performer. As a listener to what Commenée creates I can say whatever it is he is doing, it works exceptionally well. The tracks, twelve unique cuts interwoven on Gridlock, are indeed worth investigating. Joining Rene' on Gridlock are the following; Mike Garson (D. Bowie, Smashing Pumpkins), Lene Lovich, David Jackson (VDGG, P. Gabriel), John Ellis (The Vibrators, The Stranglers, P. Gabriel, P. Hammill), Judge Smith (VDGG), Hugh Banton (VDGG), Stuart Gordon (P. Hammill, P. Gabriel, Massive Attack), Ninca Leece, Willem Tanke, Martijn Alsters, Tammo Heikens, Dyane Donck (Daisy Bell), and Lisa Weiss. Each do a wonderful job of complimenting Mr. Commenée's performance. My first impression of Mr Averell's Gridlock was it played, each track, like a theatrical play. One where its acts are uplifting or sorrowful. In the music, I hear influences such as The B-52's, with hints of early Blondie, or Springsteen. The vocals are distinct. The recording itself contains sounds that can be annoying yet fit the presentation. Together I find it a unique listening experience that stays in the mind long after the disc has stopped playing. I mentioned vocals. They are somewhat uncommon, in which I conclude the voice is yet another instrument which to create melody, yet stand separate, such as on the long carried note on "Rideehoo!!" Located at the very end of the composition. Turn the volume way up to appreciate. Like a Beatles hidden sound bite you finally notice after hearing whatever song with a pair of good headphones on. Then I immediately recommend turning the volume down again, or else be overwhelmed with a wall of sound next time played. Track one, the introduction sound recording called "Lock" is forty one seconds of something that at first one may wish to dismiss, but I haven't yet. Then it's followed up by a song that I recommend getting rid of all mirrors beyond reach before listening to. For the power of suggestion is very strong. From that track, solid entertainment till the last note in which I already mentioned and spoke highly of. For reasons mainly because it snapped me to attention. Words that caught my imagination while getting my approval. Over all very likeable, and something that will grow on you with every listen. Rating: Using the one to five star rating system, I give Mr Averell's Gridlock five stars. I appreciate its originality. A collection of music that's meant to be heard and played from start to finish. Not a chore by any means. A CD that I'm glad to add to my collection and one that I guarantee will get played time and time again. A solid production. When one is seeking to get away from the typical mainstream sound, and feeling a tad musically adventurous, I'd recommend driving full speed ahead in this direction. So to get voluntary stuck...in the Gridlock.